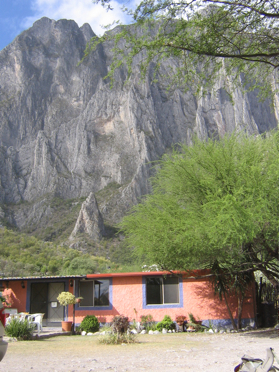 El Potrero Chico offers hundreds of sport rock climbs from one to fifteen pitches on it's limestone cliffs. 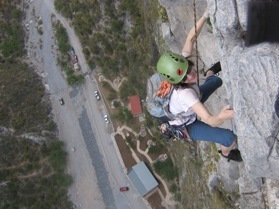 This guided Mexco rock climbing adventure will enable you to sample some of the best El Potrero Chico has to offer with rock climbing instruction from an American Mountain Guides Associaton certified rock climbing guide. Rock climbers from around the world flock to El Portrero Chico in the winter months to enjoy the warm temps and amazing rock climbing Potrero Chico has to offer. Our guide will pick you up from the airport in Monterrey, Mexico, and the next five days will be spent improving your rock climbing skills on the limestone cliffs with sport and multi-pitch climbing. With our low-ratio of 1:2, the rock climbing instruction and guiding will be customized to suit your climbing goals and abilities. For International climbing in other parts of the world check out our main International Climbs & Expeditions page. Level: Participants are requied to have had some previous rock climbing experience. This trip is suitable for intermediate climbers with the ability to follow 5.9 rock climbs. 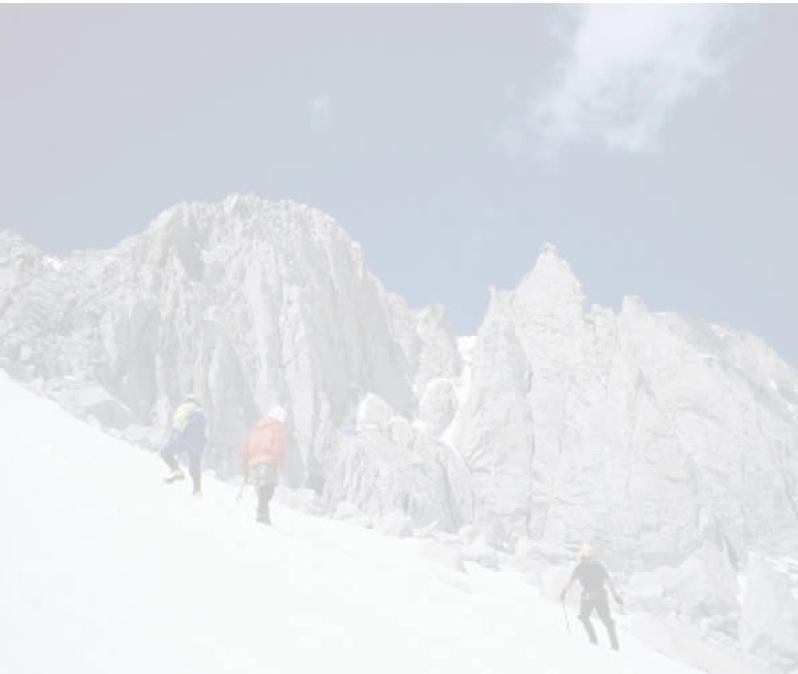 Professional AMGA certified American mountain guides at a low ratio of 1:2. All technical rock climbing gear (except footwear).